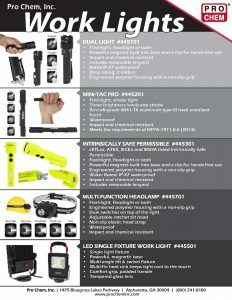 RECHARGEABLE AREA LIGHT & KIT | Pro Chem, Inc. 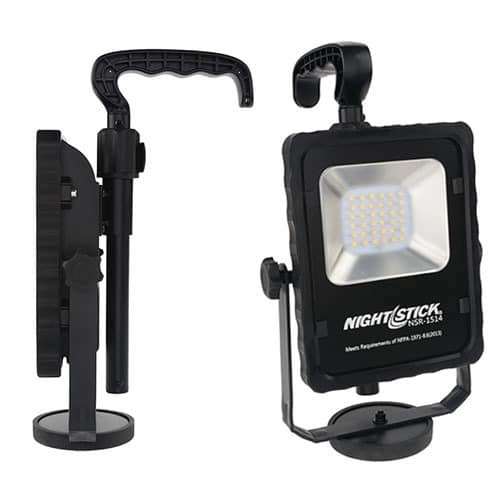 The RECHARGEABLE AREA LIGHT with magnetic base is perfect when portability is important. It gives off 1,000 lumens of light on high and 500 lumens on low using a sealed push button switch. It can be swiveled independently allowing the user to position the fixture exactly where the light is needed. The heavy-duty magnetic base allows the light to be attached to most metal surfaces for hands-free operation. Included with the LIGHT are an adjustable handle and AC and DC power supplies. This RECHARGEABLE AREA LIGHT is also available as KIT. 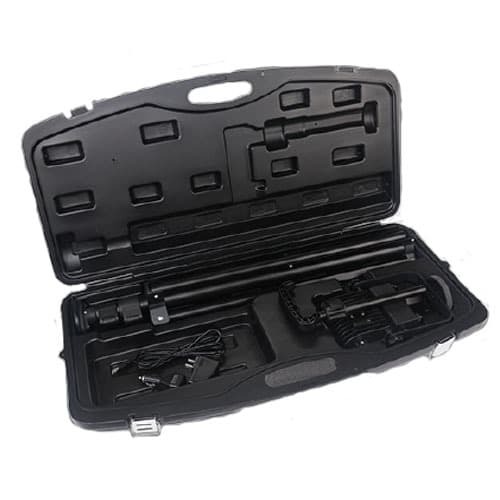 The KIT is perfect when portability is important. It includes the AREA LIGHT, an adjustable tripod with camlock adjusters, AC/DC power supplies and a carrying case. Turning the light on high mode: Press and release the button one time. Turning the light on low mode: Press and release the button a second time. Turning the light off: Press and release the button a third time.